Goodreads Summary: Winner of the Riverton Prize for best Norwegian crime novel and named by Dagbladet as one of the top twenty-five Norwegian crime novels of all time, The Land of Dreams is the chilling first installment in Vidar Sundstøl’s critically acclaimed Minnesota Trilogy, set on the rugged north shore of Lake Superior and in the region’s small towns and deep forests. The Land Of Dreams was okay for me. it was a little hard for me to get into, and there were places where the book moved a little too slow. I went into The Land Of Dreams expecting more of the murder that Lance stumbles on while working. I think a lot of why we don’t get a lot of the murder is the fact that Lance doesn’t have a big role in the investigation, but he does get updated somewhat regularly on the investigation. I was also expecting more of a connection between what happened to an Ojibe man a century earlier and the murder of a Norwegian tourist, but it’s possible that particular mystery will be unraveled in the books to come. We get a lot of Lance’s thoughts and some of the local history, which bogged down the book for me. As much as I love seeing local history in books, it just didn’t work for me in this particular novel. I was also expecting it to be a lot creepier and haunting that what it was. However, since this is the first book in a trilogy, it’s totally possible that it’ll get really creepy in the other two books. There is very much a small town vibe, with an assortment of characters. Sadly, none really stood out to me, except for Lance and Eirik Nyland. I thought Nyland was interesting because he was flown in to help with the investigation of the Norwegian tourist. And Lance being the town historian was interesting, and I think there’s a lot of potential. It wasn’t until I finished the book that I realized this copy is a translation. It’s actually a pretty good translation, and nothing seemed to be lost in translation. The Land Of Dreams isn’t for me, but I did like that that local history was really important, and that Lance was very interested in the area’s history. 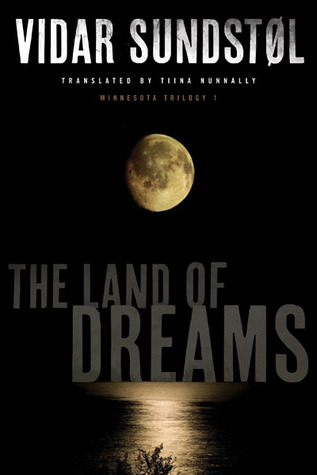 The Land Of Dreams gets 2 stars.